SEO Copywriter. SEO Copywriting Services. SEO stands for Search Engine Optimisation which simply means the words on your website are optimised to be found by search engines like Google. 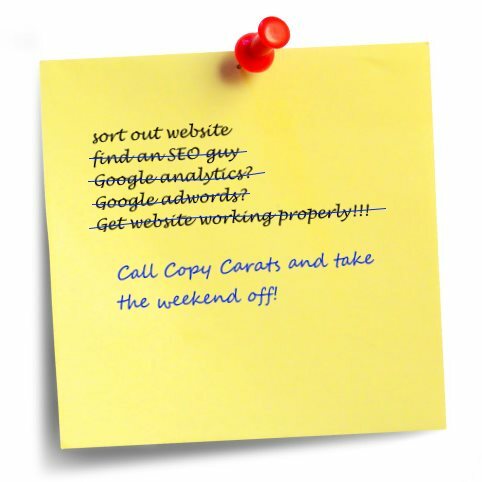 We’ve been providing SEO copywriting services since the early 2000’s and boy have things changed over time! What was best practice for an SEO copywriter even last year, is very different today. We know, because we regularly work with the best SEO strategists money can buy. There’s a real science behind effective SEO copywriting services… and it starts with a strategy. The best SEO strategists know it’s not just about keywords; it’s about the sales funnel and the words to keep the prospect moving through your website to the point of purchase. That’s where we come in. As your SEO copywriter, we don’t just add keywords. We really work those smarter SEO strategies to their ultimate fruition… lots more visitors and lots more sales! What makes our SEO copywriting services different? As your SEO copywriter, we work the way you like. You can supply us with the keywords and a brief – and we’ll write exactly what you need. Agencies and web developers love that about us. Whether it’s front end or back end copy, we give it to them – exactly to spec! But if you’re an SME on your first venture into the land of SEO, we can put you in touch with gurus who really know how to structure your website for maximum return. And when you’ve got your strategy in place, we’ll step in – with SEO copywriters that will not only attract more visitors, but bring you more sales. What we offer is a fundamental understanding of the principles at play; not just as your SEO copywriter, but as effective marketers. The keywords can only attract your visitors. It’s our sparkling good copy that keeps them there… and makes them pick up the phone. Get in touch. “Just had to let you know the client achieved 130% of last month’s sales in the first 36 hours! Great copy. Good work.” ~ Must Have Marketing. SEO Strategist. For SEO copywriting services that really deliver, talk to us today!